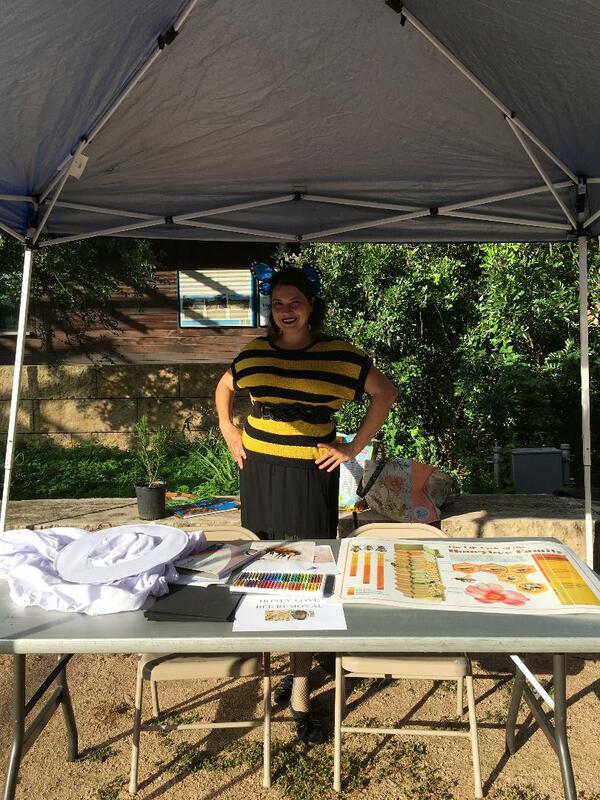 In fulfilling my community service, I have pledged my community service towards speaking to children and adults about nature with an emphasis on honey bees using art-projects as the attention getter. 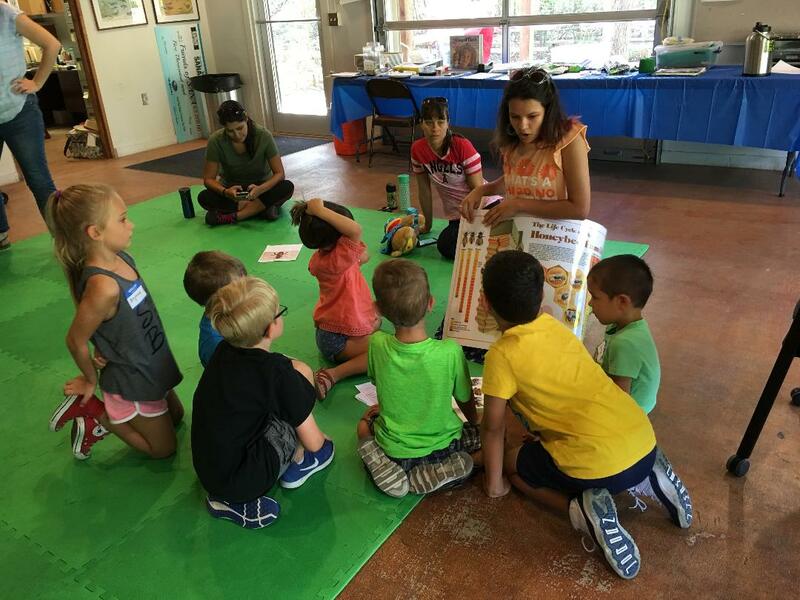 I use workshop presentations at San Antonio area parks, public schools and art organizations to convey the message of learning more about our world. As the creator of Earthships, Michael Reynolds, likes to say, “Encounter the natural phenomena”. Part of my preparations for speaking to the public about bees has been reading more books about nature, something I never tire of! I will list some of my sources because the books have been thoroughly enjoyable and fascinating! When I first started beekeeping and bee rescue work, there were very few books about bees specifically that were not text-books or tomes from the early 1940’s. Not that there’s anything wrong looking at those dusty books. I was lucky enough to find an early, heavily worn edition of, “The ABC and XYZ of Bee Culture” via the San Antonio Public Library’s participation of the vast Interlibrary loan system when I first started working with bees. Many beekeeping old-timers I’ve spoken to swear by it’s advice. The book that I catch myself refer to the most when presenting to the public is the fabulous book called, “Bee Democracy”. It debuted in more recent times (2010) in comparison to the previous book mentioned. 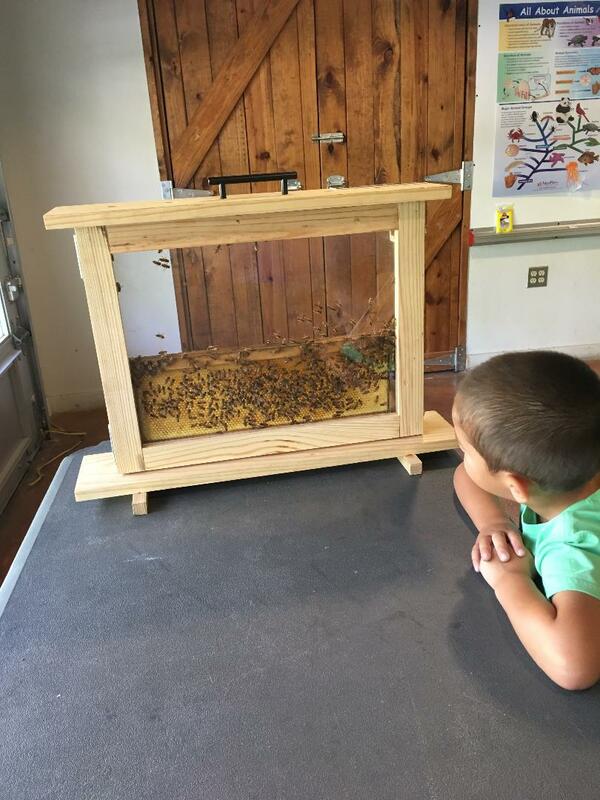 I never tire looking at my audience faces turn incredulous when I describe how bees communicate distance and direction by dancing. Children delight when we try to emulate bee communication by coming up with our own dance that demands ice-cream or a trip to the playground. Most of the projects done after the photo slide or talk presentation have been taking regular art activities and making them more bee-centric. For instance, using Shrinky Dink Plastic (great for any topic!) 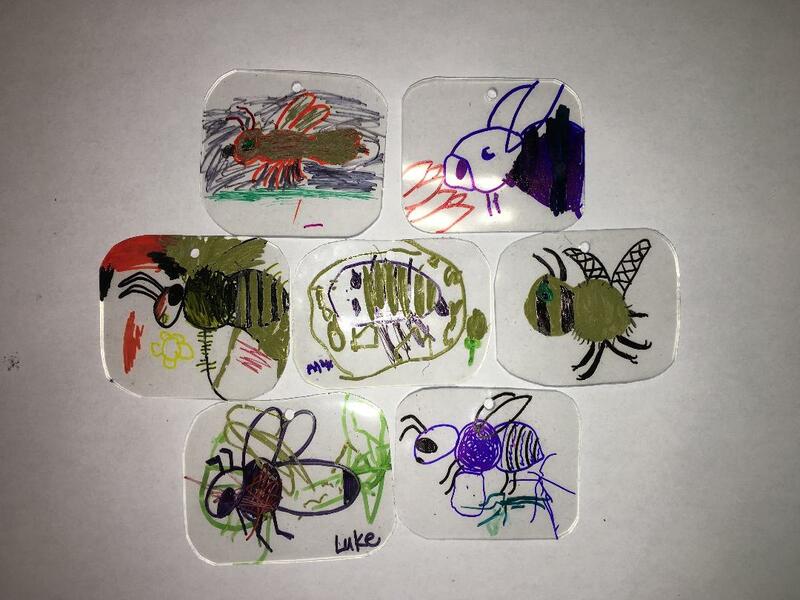 I encouraged children to draw their own bees or flowers with assorted colors of Sharpie markers on the plastic. Afterwards, using a hole-puncher near the top of their mini artwork, we then shrink the plastic in an oven. Once the plastic art-piece has sufficiently cooled to the touch, we have children thread the hole to use as a pendant as a reminder of what they learned in the presentation and to be kind to bees. 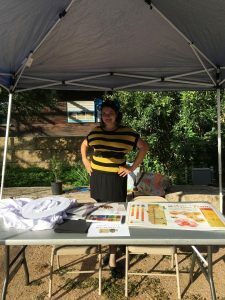 My liaison at the parks has been gracious to print color photos of bees and 8.5″ by 17″ posters of different bee species to use as hand-out for kids to take home. I do not expect everyone in my audience to run out and set up a bee-hive in their backyard or tear out their grass lawn in favor of pollinator-friendly plantings, although one can dream! It is my hope that the families I speak to begin to not only see how our actions affect bee populations but other elements in our now fragile eco-systems in our world as well. I am thrilled when both children and adults who had shown fear and apprehension of the bees inside the observation hive change to curiosity and awe when seeing bees as living beings to be learned from and respected.